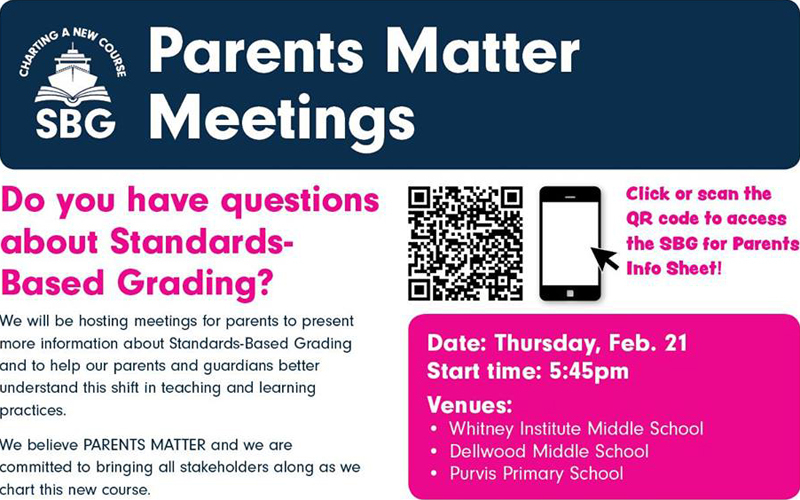 Bermuda Public Schools will be hosting “Standards-Based Grading [SBG] Parents Matter” Meetings on Thursday, February 21 at 5.45pm, simultaneously at three locations including Whitney Institute, Dellwood Middle School, and Purvis Primary School. In an online post, Bermuda Public Schools said, “Bermuda Public Schools will be hosting meetings to give parents an update and deeper dive into standards-based grading. This is a great opportunity to give parents a better understanding of this shift in teaching and learning practices.